We are very proud to bring you the fantastic Arizer Air II! 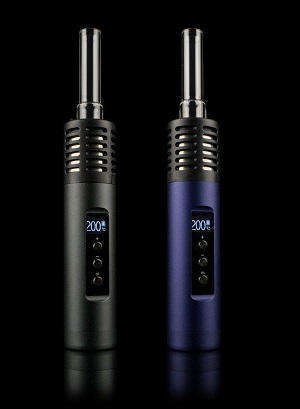 From one of the world's best vaporizer manufacturers, we are proud to bring you the Air II. Canadian company Arizer have always been at the forefront of the herbal vape industry and, along with the Solo II, this is their latest outstanding offering (see my other listings for the Solo II). The improved heating chamber now reaches higher temperatures, which combined with its fast heat up time improves your vaping experience. You also have complete control over the temperature ranging from 50°C-220°C which you can adjust in 1 degree or 10 degree steps. The OLED displays power and temperature with clarity. The screen can be altered to one of three brightness levels, for personal preference, and the temperature can be viewed in both Celsius and Fahrenheit. Like the previous Air, the Air II is compact and discrete. At just 29mm you can stash it in your pocket with ease! The clever design of the borosilicate glass tubes allows you to "preload" with herbs and then seal them for later use; perfect if you are on the move! The glass is also tough and highly resilient to damage. This is a stunning device, beautifully packaged with lots of great accessories and it comes with a 2 year manufacturer's warranty*. Arizer Air II - What's in the box?